The term “biophilia” has moved from the pages of scholarly journals to publications such as The New York Times. Biophilia, in layman’s terms, suggests that humans possess an innate tendency to seek connections with nature and other forms of life, even when building structures that, in theory, create barriers. 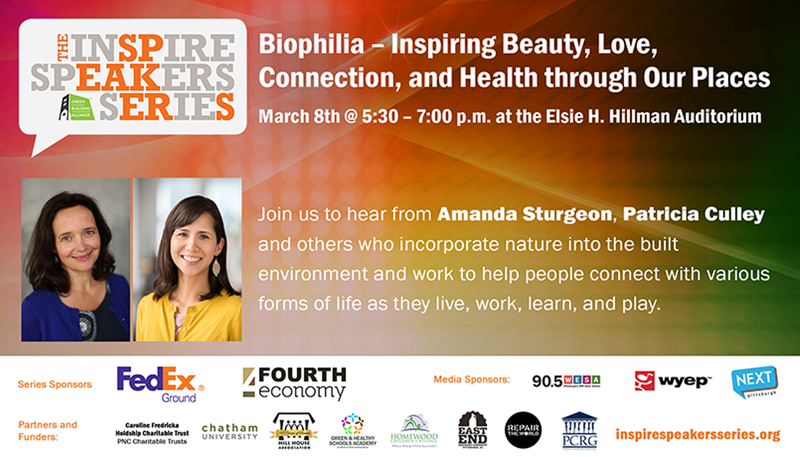 On Thu., March 8, the Green Building Alliance is hosting Biophilia: Inspiring Beauty, Love, Connection, and Health through Our Places, as part of its Inspire Speakers Series to discuss biophilic design. 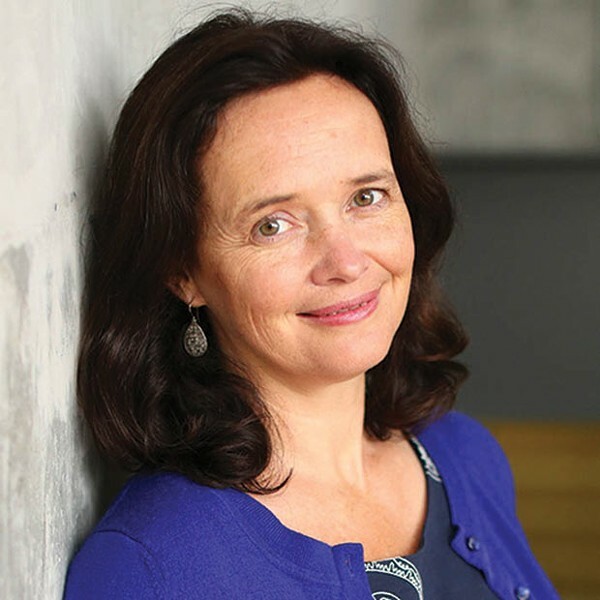 The talk features Amanda Sturgeon, the CEO of the International Living Future Institute and an architect with a longtime interest in green building and sustainability, as well as Patricia Culley, an associate at Bohlin Cywinski Jackson. Those who work with biophilic design are strong believers that having a connection to and with nature is not only good for our psychological health, but for our overall well-being. Hospitals with large sunrooms are an example of how humans have a natural affinity for nature. With the series, the GBA hopes to bring together members of differing communities around Pittsburgh to hear the speakers talk about their research and what they’ve done for their own communities. Culley, a Carnegie Mellon University alum, recently completed work as a project architect for the Frick Environmental Center in Pittsburgh, the world’s first free and public Living Building Challenge targeted project.